The Perseid meteor shower, one of the best meteor showers of the year due to the high frequency of the streaks, will peak on Sunday. The meteors, from leftover debris of the comet Swift-Tuttle, have been gracing the skies since late July but the best viewing times are overnight Saturday and Sunday, with an average of 60 meteors per hour visible to the naked human eye. 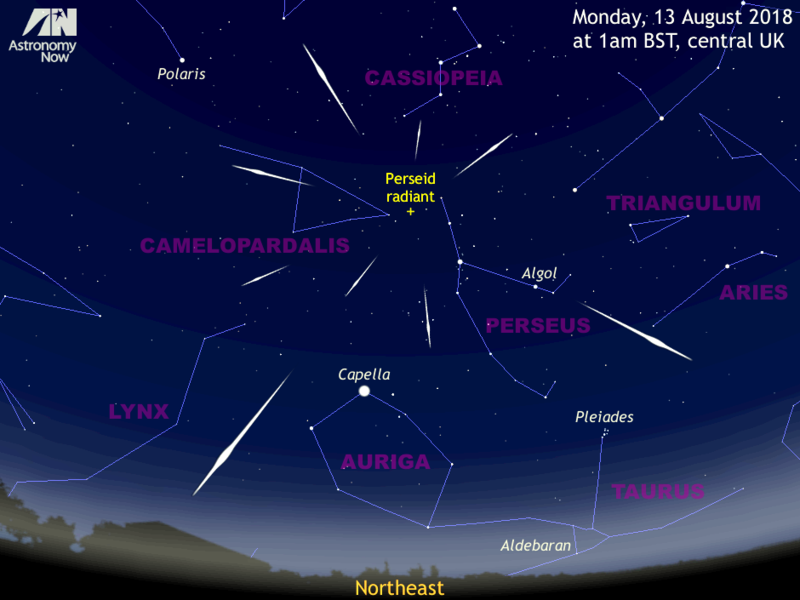 Specifically, the Perseids will be best spotted around 2 a.m. until dawn local time, August 11 to 12 and August 12 to 13. "If those hours seem daunting, not to worry!" NASA says. "You can go out after dark, around 9 p.m. local time, and see Perseids. Just know that you won’t see nearly as many as you would had you gone out during the early morning hours." They can also be viewed on NASA's meteor watch Facebook page. An early-setting crescent moon will make the skies particularly dark this year and ideal for viewing, according to NASA. Still, the key is to pick an observation place away from city and bright lights. The Perseids can generally be seen shooting all over the sky, so it is best to simply look up and not focus on one direction. Human eyes take about half an hour to adjust to the dark, so waiting that long will maximize the viewing experience. Also, pray for clear skies. Binoculars and telescopes are not recommended, and avoid looking at cell phones and other bright devices that can disturb your eyes adjusting to the dark. The Perseids will appear to come from a small spot in the sky, from the constellation Perseus, which is how the meteors got their name, according to Space.com. Viewers should be aware that not all the meteors may be Perseids. Weaker meteor showers are also active. A way to figure out if a meteor is a Perseid is to trace it back and see if it came from the vicinity of the Perseus constellation. Perseids also are some of the fastest moving of meteors, and have bright streaks. Other factors can affect watching the Perseids. The northeast U.S. is being hit by thunderstorms this weekend that could obstruct views, and smoke in California from wildfires may also be a deterrent.